DETROIT -- A former executive of Japanese auto parts supplier Showa Corp. has been indicted by a federal grand jury in Cincinnati on a charge of conspiring to fix the prices of parts sold to American Honda and others. 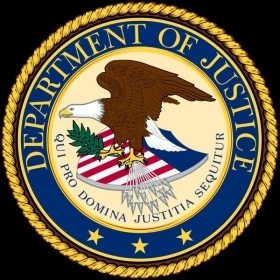 Akira Wada, a former manager at Showa, was indicted Wednesday on one count of participating in a conspiracy to fix prices of pinion-assist type electric power steering assemblies, the U.S. Department of Justice said today. The Justice Department said Wada was the manager and then general manager of sales department No. 1 at Showa from at least as early as 2003 until at least June 2009. In 2013, Wada became a director and operating officer of Showa, the department said. A spokesperson for Showa could not be reached for comment. Showa ranks No. 64 on the Automotive News list of the top 100 global auto suppliers, with an estimated $3.17 billion in sales to automakers during its 2013 fiscal year. About 23 percent of Showa’s total sales are in North America, according to Automotive News research. Showa pleaded guilty June 10 and agreed to pay a $19.9 million criminal fine for its role in the conspiracy. Including Wada, 44 individuals have been charged in the government’s ongoing investigation into market allocation, price fixing and bid-rigging in the auto parts industry. Twenty-six of them have pleaded guilty and have been sentenced to prison terms ranging from a year and one day to two years. Additionally, 29 companies have pleaded guilty or agreed to plead guilty and have agreed to pay a total of nearly $2.4 billion in fines. Similar investigations have been underway in Europe, Japan, Australia, China and Canada.